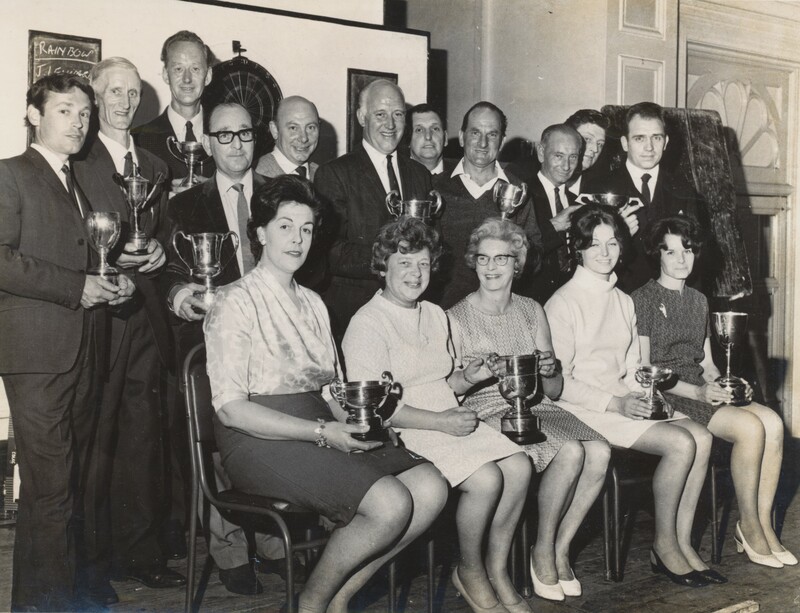 The photo below (courtesy of the Sussex Express) was taken in the Corn Exchange of the Town Hall at the 1969 Lewes Darts League Finals evening. This copy was lent to me by Paul Barker, who with his wife Pam could name some of the competitors; since putting it on this page I've been contacted by Brian Pugh who was League & Comps Secretary around this time... Brian filled in a lot more of the blanks - Thanks Brian! !